HealthData Archiver from Harmony Healthcare IT is a cloud-based, HIPAA-compliant data storage and archiving solution. The system is designed to migrate protected health information (PHI) from legacy software applications and paper records into a searchable database to enable compliance with retention requirements. HealthData Archiver converts all data stored in existing databases and EHR/EMR systems into a relational database. Paper records and charts can also be scanned and digitized for inclusion in the centralized database. All data is indexed and can be searched by account/patient identifier, name, social security number, and original data source. HealthData Archiver encrypts all data and only enables access to the data through the software interface. User access can be restricted through data segmentation and permission controls. All logins and activity are tracked for auditing, and users can also add notes to document the reasons why records have been accessed. Administrators can manage retention policies to define when migrated data is destroyed to meet medical record retention requirements. HealthData Archiver has allowed my organization to archive data while continuing to access with easy usability and the attention to detail needed when archiving patient information. Ease of use for end users and administrators. Ease of use for end users and administrators. UOC recently merged with Blair Orthopedic Associates and therefore had to archive all the practice management data from the Athena platform that was utilized by Blair Orthopedics. UOC first heard of Harmony Healthcare IT and the Healthdata Archiver at the NextGen Users Group conference. After scheduling a demo and discussing the software, we moved forward with utilizing Harmony Healthcare ITs services to archive the Athena financial data. My experience with Harmony Healthcare IT was wonderful. The Harmony Healthcare IT project implementation team was very diligent and prompt in responding to our requests and needs. Also, the Harmony Healthcare IT team participated in several calls with the Athena team to help streamline the archiving process. As for the Healthdata Archiver software, it is extremely user friendly and easy to navigate. I would recommend Healthdata Archiver to anyone that needs to archive healthcare financial and/or medical information in an easy to use format. Easy to navigate and search information. Information is in a printable format. Also, can add notes to the system once information has already been archived. Easy to navigate and search information. Information is in a printable format. Also, can add notes to the system once information has already been archived. 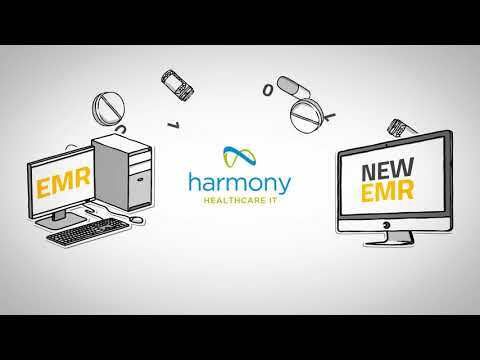 Contact Harmony Healthcare IT for pricing information. • Data is extracted from legacy software systems and paper medical documents, and stored in a centralized relational database, providing long-term access from any computer. • HealthData Archiver indexes all migrated and scanned data, and makes it searchable by name, social security number, account/patient identifier, and data source. • Users can create notes to document the reason for accessing archived patient data to create an audit trail. • All data is encrypted and can only be accessed through the software interface, ensuing HIPAA compliance. • Data can be segmented to allow or restrict access by users based on their login. Below are some frequently asked questions for HealthData Archiver. Q. What type of pricing plans does HealthData Archiver offer? Q. Who are the typical users of HealthData Archiver? Q. What languages does HealthData Archiver support? Q. Does HealthData Archiver support mobile devices? Q. Does HealthData Archiver offer an API? No, HealthData Archiver does not have an API available. Q. What other apps does HealthData Archiver integrate with? Q. What level of support does HealthData Archiver offer?